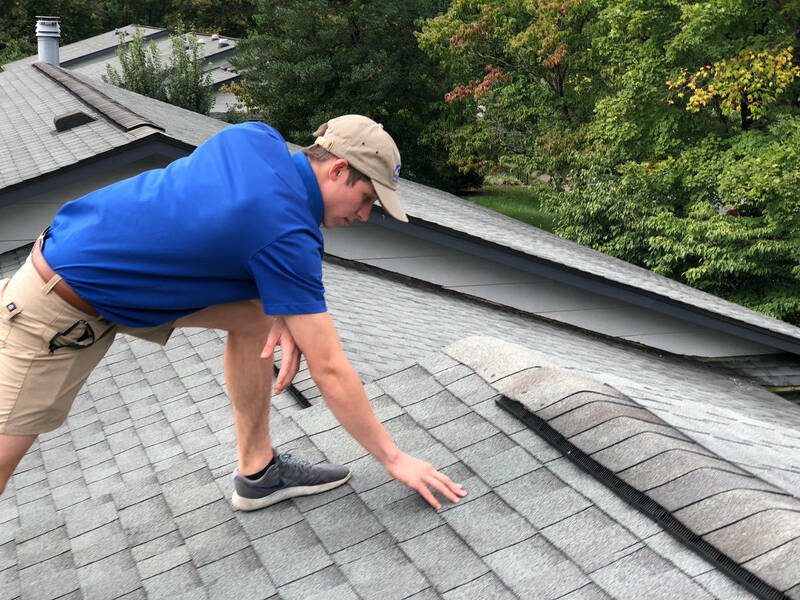 As roof inspectors in Lexington, KY we provide a variety of services to ensure your home is well protected from the elements. We also offer inspections for roofs throughout Central Kentucky in Georgetown, Frankfort, Lawrenceburg, Versailles, Nicholasville, Harrodsburg, Richmond, Winchester, Mt. Sterling, Paris and Lancaster. Our inspection process is a detailed and thorough approach that not only protects your investment, but prevents future damages from occurring that otherwise would result in an expensive repair. Our certifications with HAAG as well as InterNACHI provide our team with the ability and knowledge to identify anything from storm related damage to normal wear and tear. Hiring a home inspector is one thing, but considering that a roof is one of the largest investments a homeowner has is why our satisfied clients trust in us. We specialize in roofing, so we can deliver a much more detailed analysis to determine what repairs or improvements are recommended. Each type of roof we inspect has its own set of considerations. We base our approach on the type, age and quality of construction. With each inspection we include a detailed analysis, recommended repairs (if needed) and life expectancy of your roofing materials. Although each process may include a different set of parameters such as chimney repairs, gutter repairs, soffit and ventilation requirements, we have an outline below of our general roofing inspection process. We offer a certified evaluation for all types of storm related damages. They include hail storm inspections for roofs as well as high winds, tornadoes and ice storms. Flashings are the metal pieces in a roof that cover interruptions in the roof plane such as around dormers, chimneys and vent pipes. If it appears there is damage we recommend to have these fixed immediately. Inadequate or faulty flashing will allow melted snow or driving rain to enter the interior causing not only infrastructure rotting, but possible damage to interior walls. Asphalt roofing materials have a silica granular surface much like fine gravel. This “gravel” is there to reflect uv rays and extend the life of the shingle. As the asphalt ages it becomes brittle and these granules will come out over time. If you see a lot of these granules in your gutters, then chances are the roof is getting to the end of its lifespan. We also look for bare spots in asphalt shingles and inspect closely for signs of tearing and or war page. If we notice shingles curling up it’s generally our recommendation to have them replaced. Most of our roof inspections identify whether you’re able to have an insurance claim replacement repair at only the cost of your deductible. We inspect wooden shake shingles for signs of dry rot and war page. These types of shingles are split on at least one face and either tapered or straight. They typically have a tendency to dry rot as well as show signs of war page. The result of this can lead to interior damages. A metal roof has a design life of 50 years if maintained and properly painted. Metal roofing comes in galvanized iron or steel, aluminum, copper and even lead on older homes. Each has its own wear characteristics. We look for signs of pitting, rusting and corrosion that can be the natural result of aging. We also inspect for loose or open seams and joints that can lead to leaking. Slate, clay tile and asbestos cement shingles are high end roofing materials and will last the lifetime of the home if cared for properly. However, they are subject to ice damage in certain climates. Due to the nature of them being so brittle and easily broken, the best way for us to provide this inspection initially is with binoculars to get a close look at their condition. We check for broken, chipped or missing pieces. 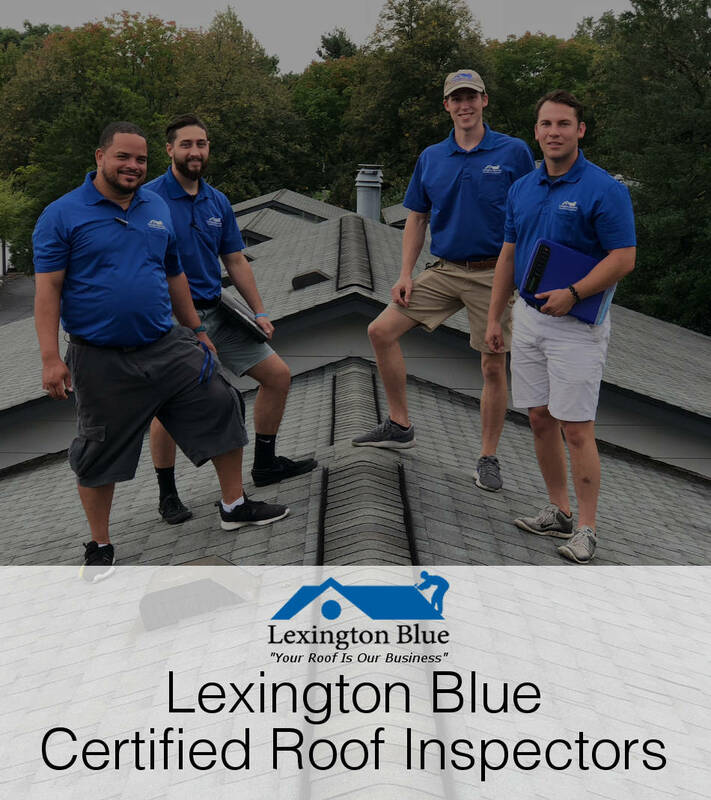 Expect accurate, detailed and unbiased roof inspections from Lexington Blue! Get Your Free Certified Analysis! When it comes to quality assurance, you can expect that our team of certified roofing inspectors know what to look for! 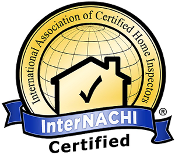 Before any of our team is qualified to inspect your roof they must go through our in-house training and become certified with industry leading credentials. This ensures that nothing gets overlooked and you are provided with an accurate analysis of your roofing system’s components. 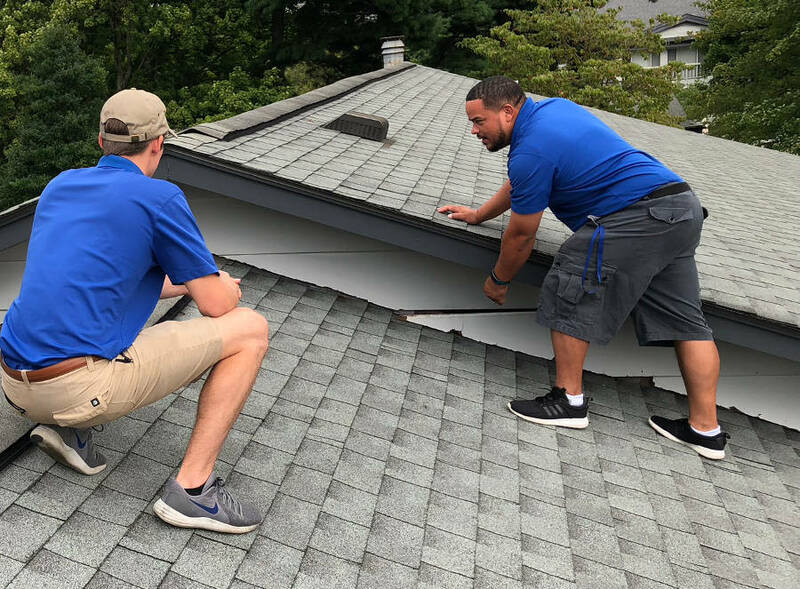 If your home has storm damage or you just want to make certain everything is in working order, trust Lexington Blue for an honest and free roof inspection!